Top Ten Tuesday is a meme hosted by The Broke and the Bookish. 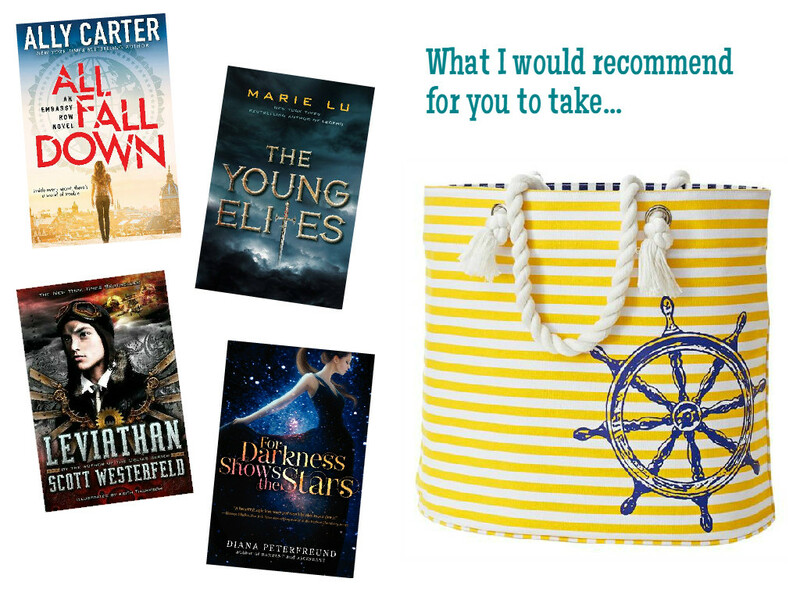 This week’s topic is Top Ten Books I Plan To Have In My Beach Bag This Summer or Ten Books I Think Make Great Beach Reads. Yet again, this topic comes right after I get back from the beach, and this trip was shorter than last year’s, so I didn’t quite get to devour as many books this time. 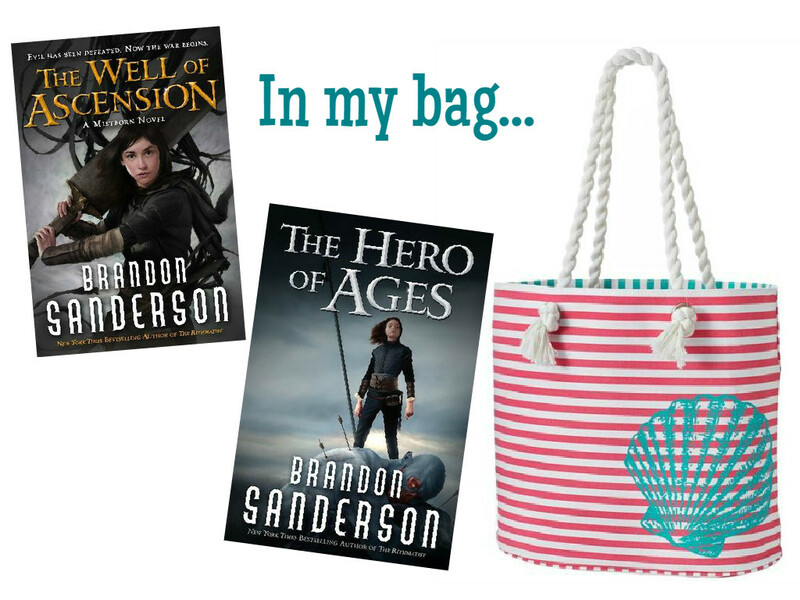 However, I wanted to share what I brought with me, what I would want to bring with me if I could go again, and what I would recommend you take on your beach trip. OK, so I actually didn’t get to finish The Well of Ascension on my trip, much less touch The Hero of Ages, though I did bring it on the trip with me. I actually love reading fantasy on the beach because you have the hours at a time to absorb the world you’re reading; I discovered this last year when I read Shadow and Bone on my beach trip. This list assumes I decided to get physical copies of the first three books since I don’t want to take my e-reader to the beach (I have the e-book of The Distance Between Us and the other two I have holds on the e-books through my library). As far as The Hunger Games go, I would really like to re-read the trilogy this year, and the beach seems like a nice place to do it! If you’re looking for any rhyme or reason to these choices other than the fact that I enjoyed them all, good luck because there isn’t really a theme here at all! We’ve got contemporary (with a hint of thriller), fantasy, alternate history steampunk, and sci-fi all for the taking here. 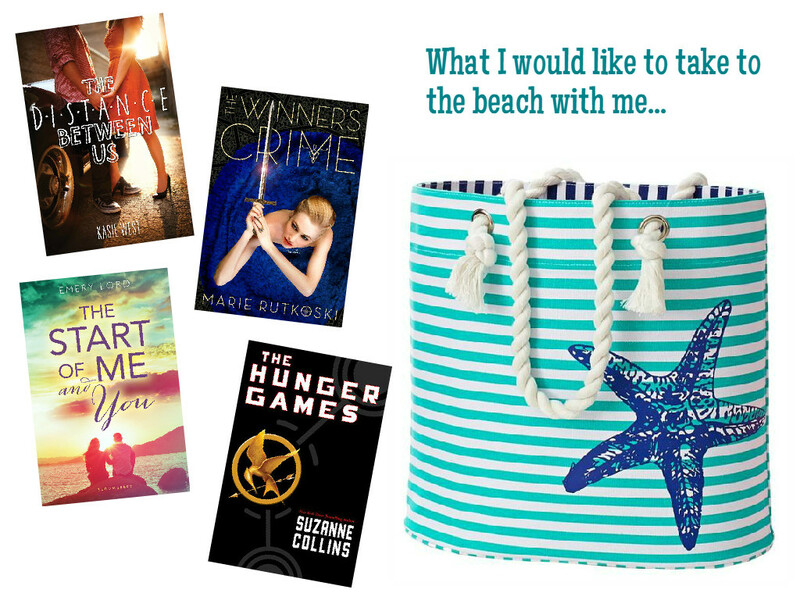 Which books would you like to read at the beach?